Don't settle for watered down iced coffee or wait all day for a cold brew recipe. 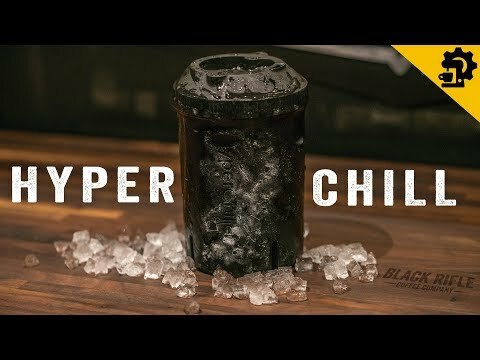 Turn hot coffee into perfect iced coffee in as quickly as one minute! How it works: The HyperChiller's patent pending multi-chamber design keeps the coffee and ice separated with two layers of food grade stainless steel. It's compatible with all brewing methods and even fits directly into most full size single cup brewers. In one minute after your fresh hot coffee is inside it will be chilled by up to 130+ degrees, without dilution! In the Box: HyperChiller, Plastic Lid, Plastic Shell, Two stainless steel chambers, Set up guide.